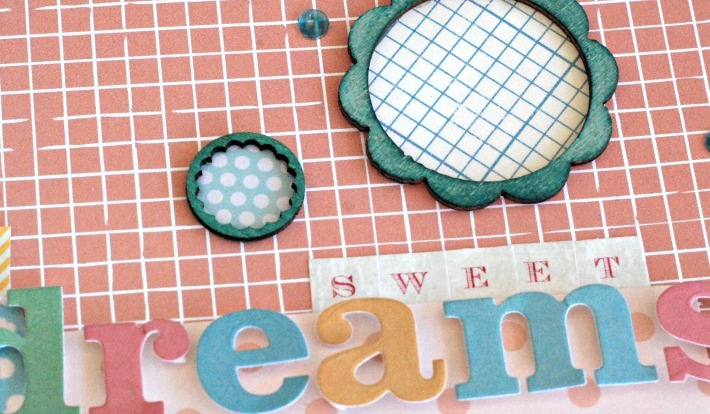 Today I'm sharing another layout I created as Feb. Guest Designer for Citrus Twist. 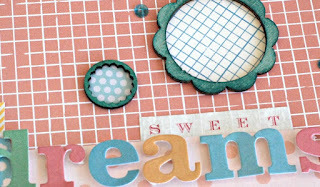 The inspiration for this layout was a sketch designed by Kasia at Citrus Twist. Love this sketch – I rotated it to the right to work with my selected photos. I adore the wooden elements and thought they would look fabulous as “dream clouds”. I sprayed them with Mister Huey’s so they would pop off the page and backed them with patterned paper. I love the fun, whimsical feel it creates. For the chevron stamp, I used various colors of Zing Embossing Powder – it’s a great way to highlight the photos and add dimension to the page. Happy Saturday, enjoy your weekend! Loving how you used your veneers as "dream clouds" fun idea! Such a cute layout. I love the misted/painted wood veneers. TFS. Beautiful LO! I love the use of veneers too. TFS! Beautiful page! I thing the embossed chevron stamps are excellent details on an otherwise perfect page.